It is a great honour to serve the people of Queensland as one of our state's 12 Senators in the Australian Senate, and the people of Australia as the Shadow Minister International Development and the Pacific. This website is designed to keep you informed and up-to-date about my work in the Senate and the community. Please do not hesitate to contact my office if you have any feedback or require assistance. The 2030 Agenda for Sustainable Development , adopted by all United Nations Member States in 2015, provides a shared blueprint for peace and prosperity for people and the planet, now and into the future. At its heart are the 17 Sustainable Development Goals (SDGs), which are an urgent call for action by all countries - developed and developing - in a global partnership. They recognise that ending poverty and other deprivations must go hand-in-hand with strategies that improve health and education, reduce inequality, and spur economic growth - all while tackling climate change and working to preserve our oceans and forests. 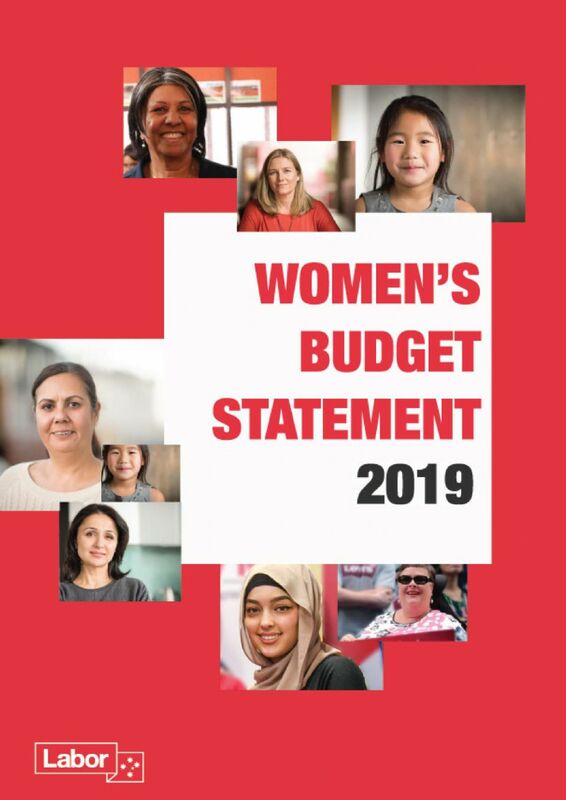 Today, 4th April 2019, Labor released our 2019 Women's Budget Statement at Parliament House in Canberra. The 2019-2020 Federal Budget was handed down on Tuesday 2 April 2019. - Glossary of Budget terms. The Federal Labor Opposition is providing responses to this year's Budget and you will hear from Bill Shorten and Chris Bowen along with other Shadow Ministers over the coming days. If you have questions or comments about the 2019-2020 Budget please contact my office on 07 3252 7101. Click here to see Claire's latest speeches in the Senate. Click here to see Claire's latest media releases. You can find my page here . ConsumerTop10.com - Best Products Reviews for Consumers.